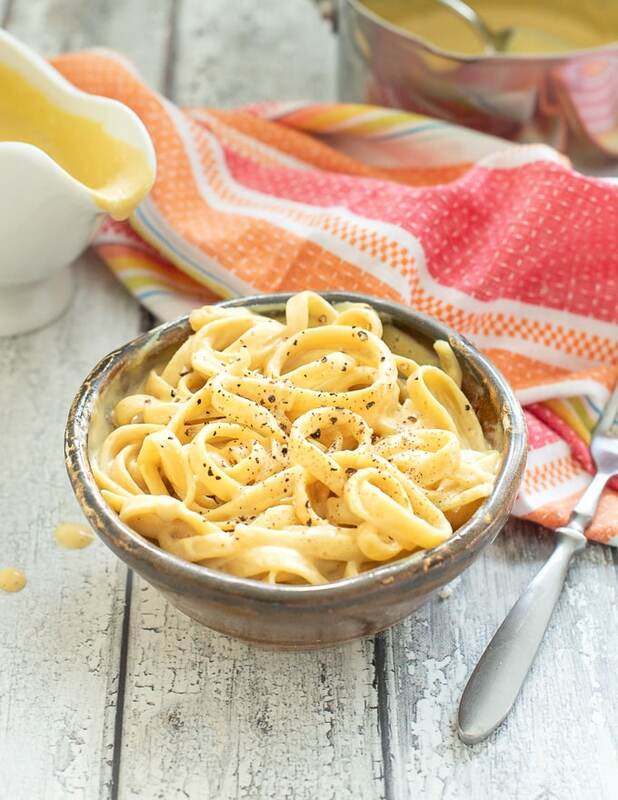 A silky smooth, lusciously creamy, Vegan Cheese Sauce that is nut free, gluten free and really low in fat. Whip it up in minutes in your blender! 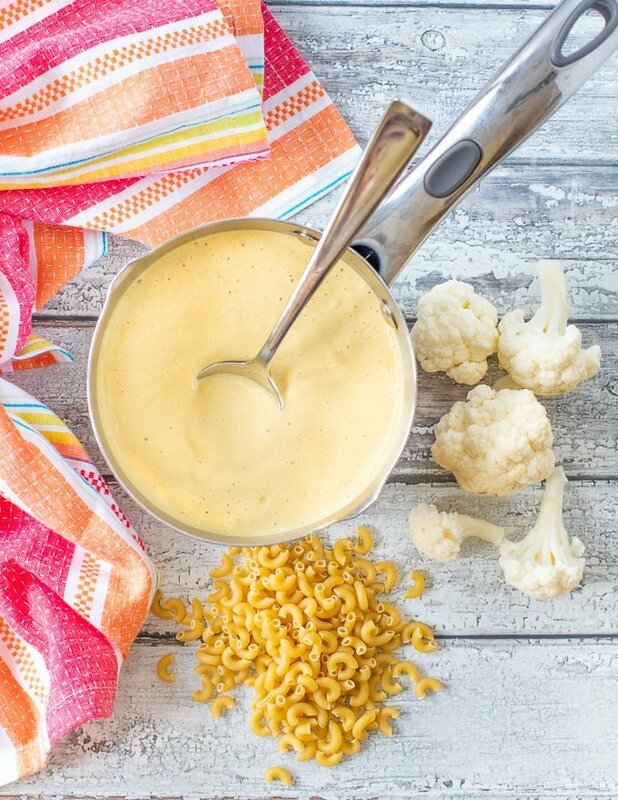 Oh my word … This super easy Vegan Cheese Sauce is going to change your life. Well, maybe that’s a bit extreme, but it’s seriously good and it’s nut free and gluten free and also really low in fat. 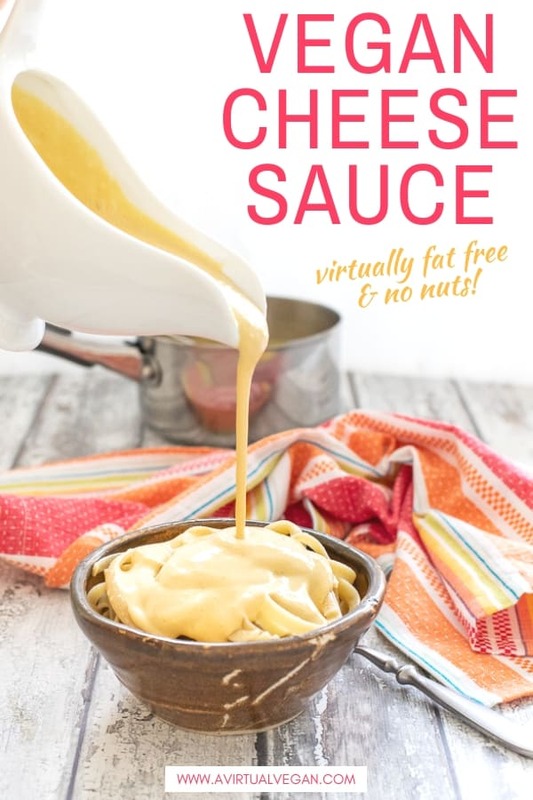 There aren’t many nut free vegan cheese sauces around. Cashews tend to be used on repeat for creamy sauces in the vegan world and although they make a really tasty, glossy, yummy sauce that I love, hey, sometimes there are times when you could use a recipe without them. Maybe you have guests with allergies, maybe you don’t want to spend an arm and a leg on a bag of nuts (cashews aren’t exactly cheap! 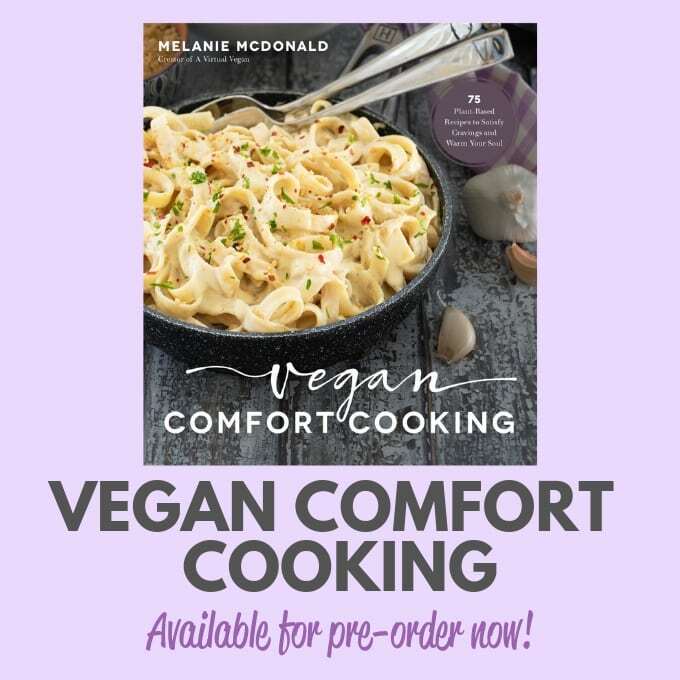 ), or maybe you are trying to be good after eating your way through an entire cookbook for the past 5 or 6 months! Um … that would be me …. 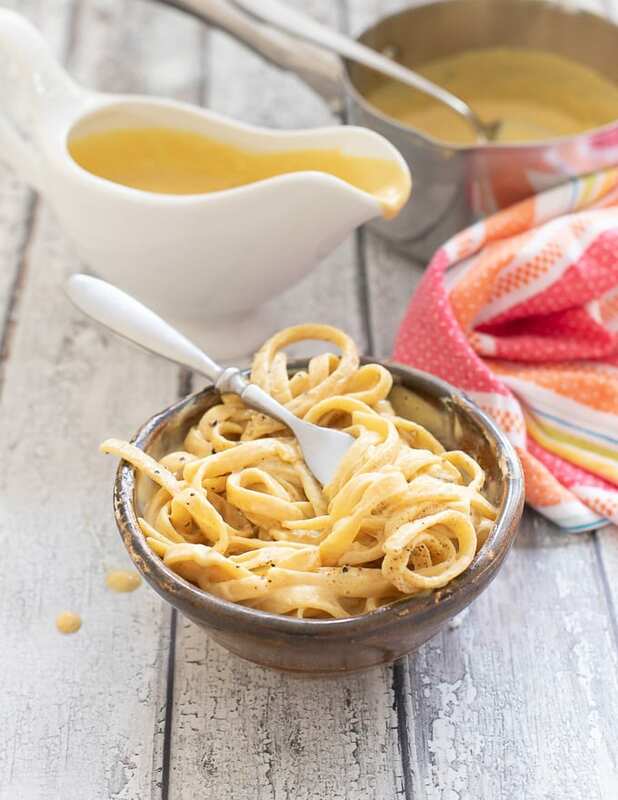 Whatever the reason you want a nut-free vegan cheese sauce, I’ve got you covered, because this recipe is just perfect for any of the above occasions. So, what’s the deal exactly? This recipe came about when I had was thinking about vegan tofu recipes, because I had some leftover silken tofu in the fridge. I also had many random packets of almost finished spaghetti and linguine that I wanted to use up. That along with a very strong craving for cheesy, spinachy pasta. So the silken tofu got thrown in a blender along with some other random things and magic happened. I didn’t expect it to be anything special but as soon as I tasted it I knew I had to share it. 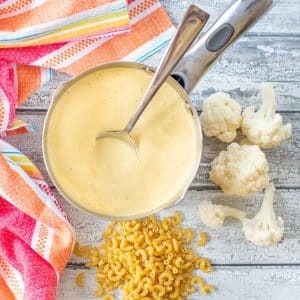 It’s a super simple Vegan Cheese Sauce, made in seconds, and it’s luscious, smooth and creamy and can be used in any recipe where you want a thick, creamy, cheesy sauce. And did I mention it’s got no nuts, no gluten and no fat in it? I did but I feel the need to repeat myself. Because it’s made from silken or soft tofu, it is super, super velvety and smooth. So much more so than a nut-based sauce and it tastes lighter. It’s a basic, simple sauce that is totally yum, and ready for you to do whatever you like with. Me, I made a really quick and easy creamy mushroomy, spinach spaghetti type recipe which I am for sure going to recreate to share with you too because it was so good. 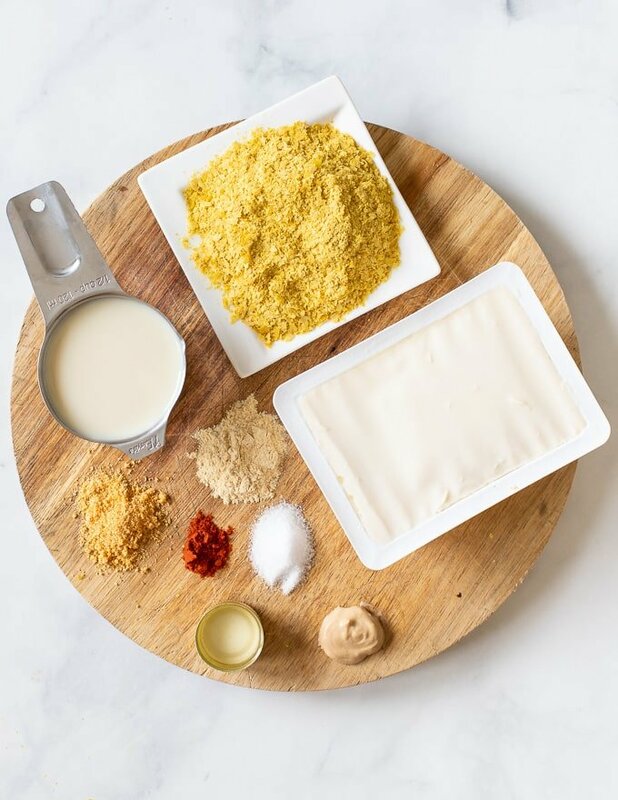 This simple, Vegan Cheese Sauce couldn’t be easier to make. Put all of the ingredient in a blender or a food processor and blend. (That is incidentally actually another good thing about this recipe. Because everything in it is super soft, you don’t need a fancy pants high powered blender to make it super smooth. Any blender or food processor should be able to take care of it). Warm it gently through in a pan on the stove top or use in any recipe calling for cheese sauce. That’s it. It’s the easiest sauce ever! And ready and waiting for all of your many cheese sauce needs! Please be sure to use a good tasting nutritional yeast for this recipe. All nutritional yeasts are not created equally. Some brands taste a lot better than others. I personally do not like Bob’s Red Mill nutritional yeast, even though I love all of their other products. I do not recommend you use it in this recipe as you won’t get the intended cheesy flavour. It’s ok used in small amounts but in a recipe where you use a lot like this it will make a big difference to the overall result. 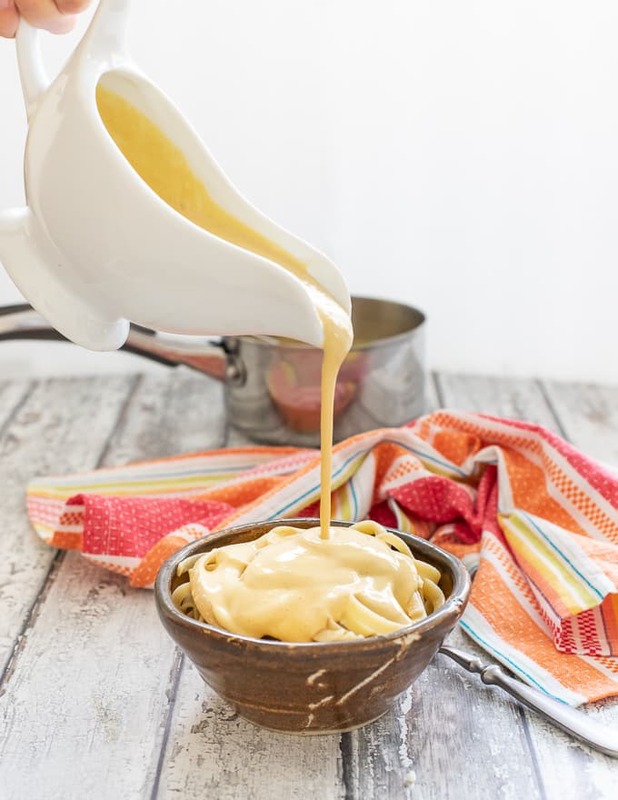 A silky smooth, lusciously creamy, Vegan Cheese Sauce that is nut free, gluten free and virtually fat free! Whip it up in minutes in your blender! Warm the sauce through gently in a pan on the stove top before serving. Unused sauce will keep for up to 5 days in the fridge. Every single ingredient in this recipe plays a part in giving the best flavour possible, so I do not recommend omitting any of them or subbing them. Please see my notes in the post above the recipe about the brand of nutritional yeast I recommend to make this recipe. They are not all created equally!